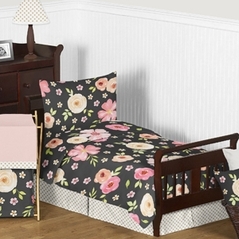 Welcome to our Pink and Black Toddler bedding section! These two colors seem so different but together they combine to create a truly stylish duo! Pink and Black Toddler bedding appeals to the softer side but when you combine Black it creates a whole new stylish design that is chic. 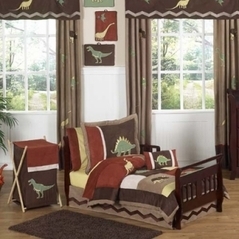 See what we mean in our shabby chic toddler bedding section. And how about Pink and Black Zebra Toddler Bedding or maybe even a stylish Ladybug Toddler Bedding set for your toddler bedroom? Please take a look at our accessories as well because you'll want to complement your beautiful pink and black toddler bedding choice with exquisitely coordinated room decor which is sure to enhance and finish off your ideal pink and black theme.